Bandcamp: ow.ly/Dh0My (buy 12", get FREE digitals) Juno D/L: http://ow.ly/yR23n Beatport: http://ow.ly/yR1Sm It's been a very exciting first year for Hobbes Music, with praise coming from all corners for the fledgling Edinburgh label: Erol Alkan, Motor City Drum Ensemble, Justin Robertson, Ashley Beedle, Maceo Plex, Ivan Smagghe, Domenic (Subculture), JD Twitch (Optimo), Jimpster, TEED, Citizen, Sean Johnston, M.A.N.D.Y., Philippe Zdar, Sinden, Locksmith (Rudimental), Bot (Crookers), Alan Braxe, Alex Metric, Leftside Wobble, Mixmag, Resident Advisor, Mixmag and more. Also, i-D Magazine hosted a 'Back To Mine' mix by Leonidas & Hobbes on their Soundcloud (April ’14) which has had over 8,000 plays to date and a whole load of love: https://soundcloud.com/i-d-online-1/leonidas-hobbes-music-to-all-come-back-to-mine HM005: Selected DJ Feedback ‘This sounds boss - will play some of it on BBC6, thankyou’ (Tom Findlay / Groove Armada - LDN/Worldwide). 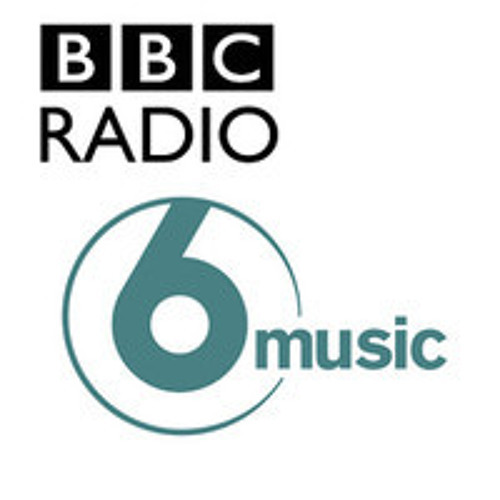 Full playlist here: http://www.bbc.co.uk/programmes/b045p9vn ‘The Debukas and Craig’s dub are perfect for me - thanks’ (The Revenge - Glasgow/Worldwide) ‘Digging the the Debukas & Craig Smith mixes. Both are in the bag’ (OOFT - Glasgow/Worldwide) ‘Debukas Remix - will use in my sets. Full support.’ (Patrick Alavi - Germany/Worldwide) ‘What a refreshing EP!!! Such depth and variation of quality!! Thanks for sending, so good to get some great music among the dredges of crap I get sent!! Big up!!! :-)’ (Arveene / Arveene & Misk - Ireland - Europe) ‘This is really the sound of now for me. I truly love the remix! Thanks for the great stuff …. the whole package, but maybe Debukas remix is my fav’ :)’ (Kosmos - Tracy Recordings / Nitsa, Barcelona / Europe) ‘Loving Craig's mixes and the Debukas one's a cracker too’ (Chris Duckenfield,Sheffield/Worldwide) ‘Wow - some very nice variety here. Heady stuff, thanks for sending!’ (Jusin Sloe - Cuplrit/Droog/Sloe Jams - US/Worldwide) ‘My fave now is Amstrad Billionare! 4/5! The original one! Feels like the perfect track to put in the middle of a deep set just to give a shake to the crowd! ;)’ (Scuola Furano - Barcelona/Europe) ‘Cool EP, maybe not my kind of style but I like Busted (Debukas remix) and the track from The Son(s) make me think a little bit of a Trentemøller track, good atmosphere :)’ (Sovnger - Paris/Europe) ‘I like it! Debukas remix is brilliant tune, very groovy. We included it on our monthly Last Robots chart mix. I will play it on my Saturday radio show. I already played it on my show, I also played and I like original version, the one that was digital bonus - it's very good track. I also play both in clubs and they work very well.’ (DJ Bert, Warsaw) ‘Thank you very much, such a great release! Really love Leonidas & Hobbes and Debukas remixes!’ (Dimitri Veimar - Germany/Europe) ‘Amstrad/Debukas - Fantastic, been playing it out to great reaction’ (Yogi Haughton, Scottish Soulful Weekender/Solar Radio - Scotland, UK) ‘Lots of really good stuff here! Really like the Debukas remix (amazing robo-funk groove) both the Craig Smith remix (so so deep, love it) and dub (useful tool), the remix of Slow & Easy (great slow jam for downtempo sets) and the original Am$trad Billionaire (love that 80's electro disco feel). Will be using in warm-ups in Sheffield and Leeds and the slower stuff at any outdoors summery things. Really good EP’ (Geoff Ticehurst - The Plug/Sheffield, Leeds Uni) ‘Really loving all of this EP. Another winner from you lot!’ (Teamy Teamy, Wrong Island - LDN/Glasgow) ‘Solid release as ever. The infectious 'Busted' is probably my fav with echoes of Tiger & Woods and 80s boogie. I look forward to playing it out. Got to give a nod to the Leonidas & Hobbes and Craig Smith remixes for lush Balearic vibes. A release with its finger very much on the pulse of underground Scotland and all its forms. Excellent.’ (Kris Wasabi/Wasabi Disco - Edinburgh) ‘Thanks for these. Great energy on the Debukas remix and I love the vibe/wonk of Joe Howe’s remix!’ (Barry Fell / B-Jam - Edinburgh) ‘This is ace... Again, such diversity on here... From the catchy as hell hooks on Debukas’ remix to Leonidas & Hobbes remix of Slow & Easy, which is just pure ethereal dubby loveliness. Kinda brings to mind Weatherall's production of Beth Orton in the way that it balances acoustic and electronic elements. Craig's remix is chunky and really warm as well - a really solid package’ (Jacksonville - 20:20 Vision - UK/Europe) ‘Yeah, loving it.’ (Larry Tee, NYC/LDN) ‘Nice. ;o)’ (Ben Osborne - Slipped Disco/Noise Of Art, LDN) ‘Loving HM005, played the Debukas mix on my radio show last week and will probably spin another tune on this week’s show’ (Paddy Freeform, Universal Vibes - LDN) ‘Debukas Remix – cracking bit of kit, will 100% be getting some rotation in my sets – nice strong groove to it. Craig Smith mixes – all useful slates. The Sons – actually really liking this one, got a really Balearic feel to it for me – kinda thing you’d be hearing on some beach as the sun comes up ;)’ (David Elders, Solar Radio - Edinburgh) Following April's second Leonidas & Hobbes EP, HM005 is another Various Artists EP, the third in the series of Trouble Remix compilations, featuring remixes of a selection of up-and-coming acts from across Scotland by some of the label's favourite Scottish producers. P & C 2014 HOBBES MUSIC All rights reserved. Logo & Design: jpmjustice.com Mastering: Kenny Inglis at Eighth Nerve, Glasgow, 2014 (except Craig Smith Dub & Reprise remixes - both mastered by Chris Lyth at Tron Mastering). Distribution: Rubadub hobbesmusic.co.uk Made in the E.U.